Amalgam fillings are composed of about half mercury and typically other metals including tin, silver and copper. 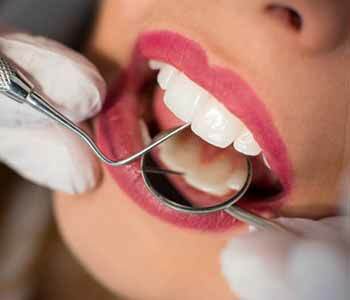 Although dentists have been placing these fillings for more than two centuries, it has been proven mercury vapor released from amalgam fillings enters the body and can affect the fetus. Mercury is a neurotoxin that been proven to be a cause and contributor to developmental and learning disorders. Studies have also linked mercury to autism in children. Dr. Scott Stewart, a highly sought after holistic dentist, can explain the potential connection between the neurotoxin and the neurodevelopmental disorder, autism. Patients seek Dr. Stewart for his unique approach to dentistry and the alternatives he provides including safe and effective dental materials. Dr. Stewart is mindful of the effect dental procedures have on the whole body and has completed extensive training to provide the best care to his patients at South Lakewood Dental in Lakewood. A child’s first exposure to mercury from amalgam fillings can occur during conception. If the mother has amalgam fillings in her teeth, the fetus can be exposed to the vapors released from the fillings throughout the gestation period. In addition, a nursing mother with amalgam fillings can expose the baby to the mercury through maternal milk. An Environmental Working Group study in 2004 found that autistic children have a common weakened ability to protect themselves from the effects of small amounts of toxic metals such as mercury in their bodies. Dr. Stewart cautions women and nursing mothers to avoid amalgam fillings. Women may also want to consider having amalgam fillings removed before becoming pregnant to avoid any potential dangers. Dr. Stewart operates a mercury free and mercury safe dental practice. Dr. Stewart has extensive training from the International Academy of Oral Medicine and Toxicology to safely remove and dispose of amalgam. Do you want to see a dentist who cares about your overall health and wellbeing? Consider South Lakewood Dental. Call our friendly and knowledgeable team at (855) 233-0023 today to schedule a consultation with Dr. Stewart.